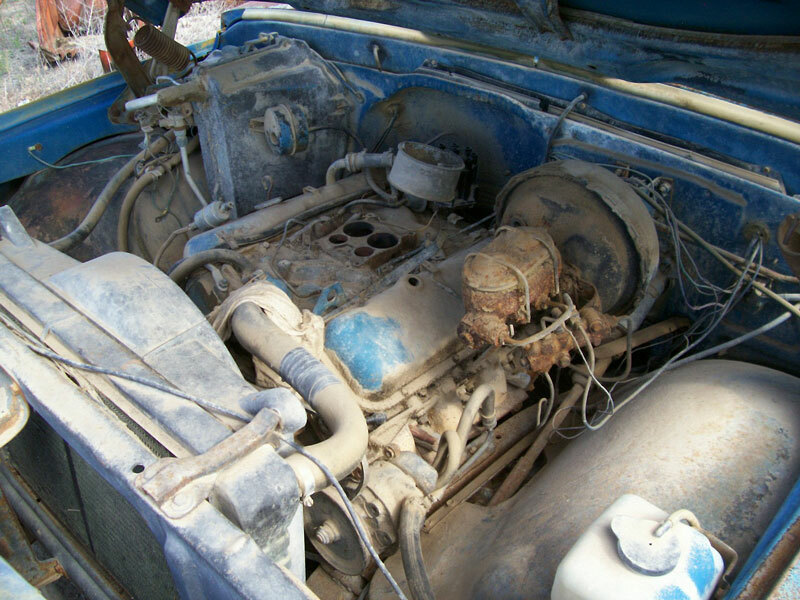 This medium blue 1972 Chevrolet Series C-30 one ton commercial flay bed truck is a fairly complete classic vehicle ready to be restored or customized. This is a 157" wheel base truck with dual rear wheels, power steering, power brakes and air conditioning. The body has solid and dry western desert sheet metal. There is a star burst chip in the center of the windshield. The hood is dented in the front and the hinges need adjustment and/or repair. The grill surround trim is dented here and there. The front bumper is dented. The front of the left fender is dented. The truck has add-on external tow mirror frames and the mirror panels are missing. The antenna is missing. There is a 350 badge on the right front fender and an 400 badge on the left fender. The truck has a commercial steel and wood bed with head board. 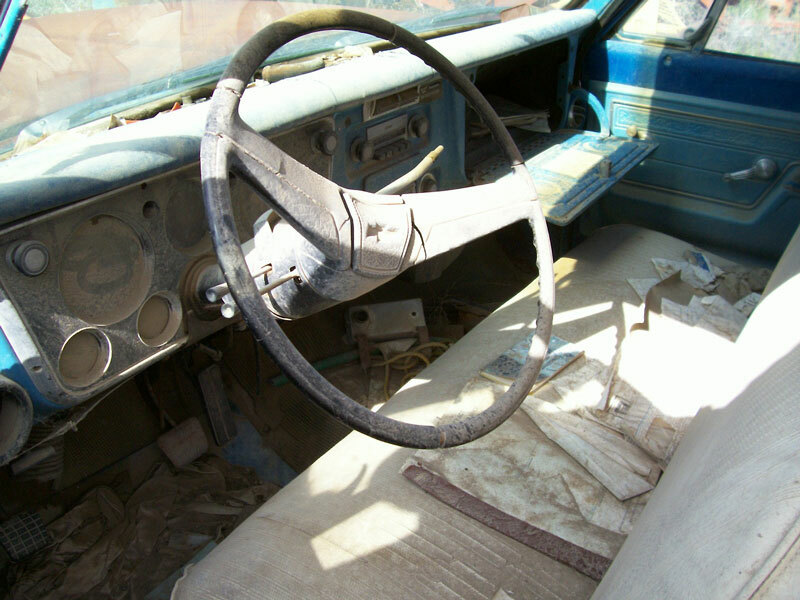 The blue interior is all there. The dash and gauges are complete. The cab floor is solid. The truck has an optional 400 CID 4V OHV 250 HP V-8 motor and Turbo-Hydramatic 3 speed automatic transmission. The power train is all there except the carburetor, air cleaner, alternator and air conditioning compressor are missing. The running and driving condition is unknown. 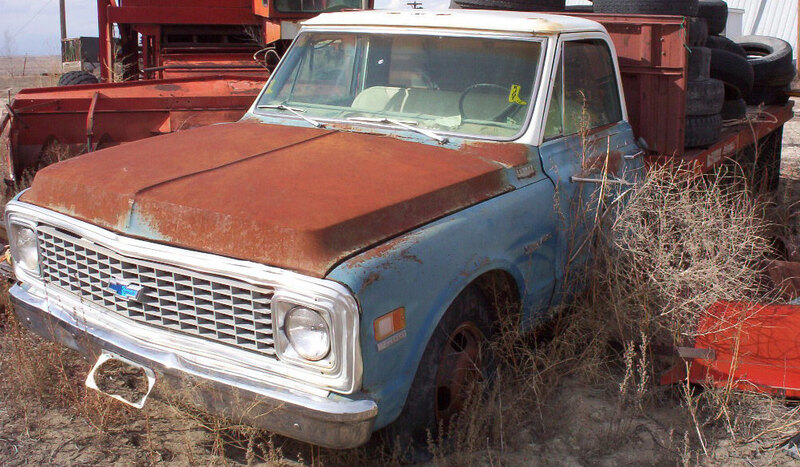 Here is your opportunity to restore or customize a 72 Chevy Tonner flatbed truck. 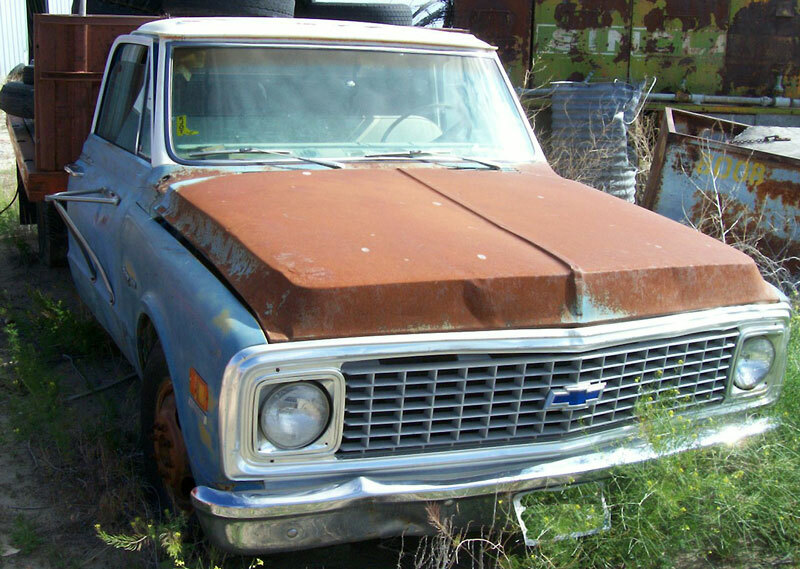 Please call (406) 318-0270 for details about this restorable classic 1972 Chevrolet project truck. For sale $3,000.